INTERPOL, the international organisation that facilitates international police cooperation, held its 87th General Assembly on November 18, 2018 in Dubai. The United States Deputy Attorney General Rod Rosenstein delivered a speech covering key considerations impacting the work of INTERPOL, including the “rule of law”, the rise of cybercrime and the importance of internationally coordinated efforts in preventing and detecting organised crime. Rosenstein described the “rule of law” as “the government’s obligation to follow neutral principles and fair processes”, and stated that “INTERPOL exists to promote international police coordination and discourage departures from the law”. The increasingly cyber-connected world was discussed, highlighting the potential for the Internet to be exploited by cyber criminals. “We must acknowledge the divergence between the Internet in theory and the Internet in practice. Closing that gap will ensure the viability of an open Internet governed by the rule of law”, said Rosenstein. The importance of international cooperation in detecting, disrupting, deterring and prosecuting organised and cyber-enabled crime was a key focus of the delivered remarks, demonstrating the successes of international partners in working together to dismantle malign internet operations, which often involve the use of virtual currencies to fund crimes and launder illicit profits. One such example was the indictment of Alexander Vinnick and the virtual currency exchange he allegedly operated, which received more than $4 billion of virtual currency. The exchange was designed without any means to control money laundering, serving as a hub for international criminals seeking to hide and launder illicit profits. Criminal charges were filed in the U.S. with a $110 million civil penalty being issues against the exchange for willfully violating U.S. anti-money laundering laws, as well as a $12 million penalty being issued against Vinnick. Rosenstein also discussed the importance of protecting against abuses of encrypted communications by cyber criminals, and the need for international law enforcement agencies to work together to address the increasing difficulty law enforcement agencies face in accessing evidence of criminal conduct. This includes working closely with technology companies to establish responsible practices that consider both privacy concerns and public safety imperatives. One example of an operation where international cooperation was described as essential was the successful dismantlement of the Kelihos botnet, a global network of tens of thousands of infected computers used for malicious activities, as well as the extradition of a Russian cybercriminal who was instrumental in running the botnet. Another prime example of successful international cooperation facilitated by INTERPOL is in the area of online child exploitation. INTERPOL’s International Child Sexual Exploitation image and video database uses image and video comparison software to identify and locate child sexual exploitation victims and their abusers. 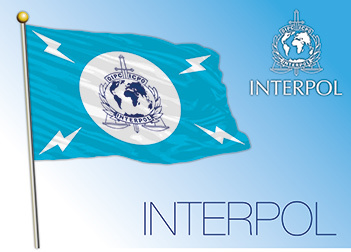 This information is then disseminated to the appropriate INTERPOL member countries, and to date the database has led to the arrest of over 6,000 offenders. Rosenstein also discussed the key role played by mutual legal assistance in facilitating effective international cooperation, and the importance of countries taking seriously their role to help secure evidence needed by international partners for their investigations, devoting sufficient resources to meet these needs. Nyman Gibson Miralis provide expert defence in international criminal law cases involving cybercrime, money laundering and extradition. These are highly complex cases that typically involve the collaboration between multiple international law enforcement agencies. Contact us if you require assistance.